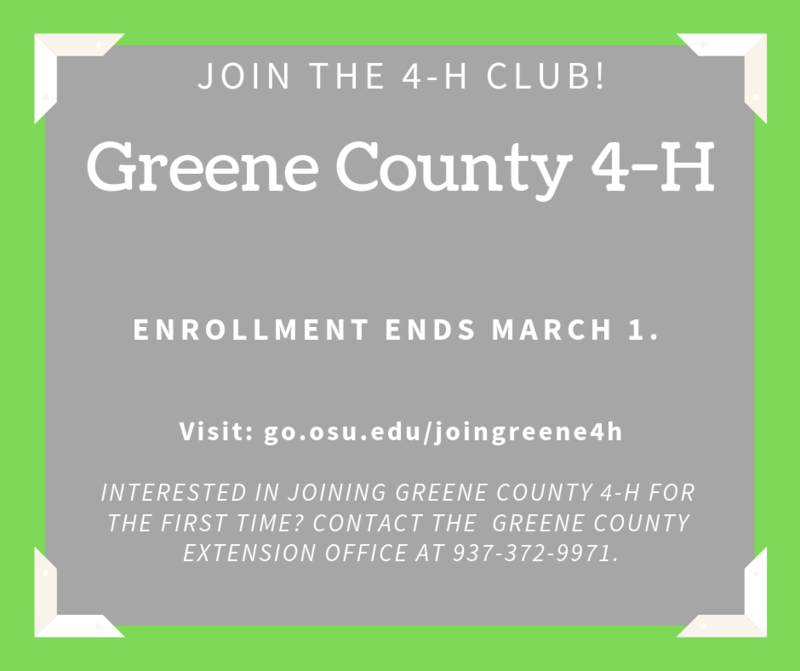 4-H enrollment for 2019 is due March 1. Don’t miss the opportunity to be part of a great organization. We want you to join! Not sure how? Contact the office at 937-372-9971 or visit greene.osu.edu for more information. Are you ready to complete the enrollment? Visit oh.4honline.com. 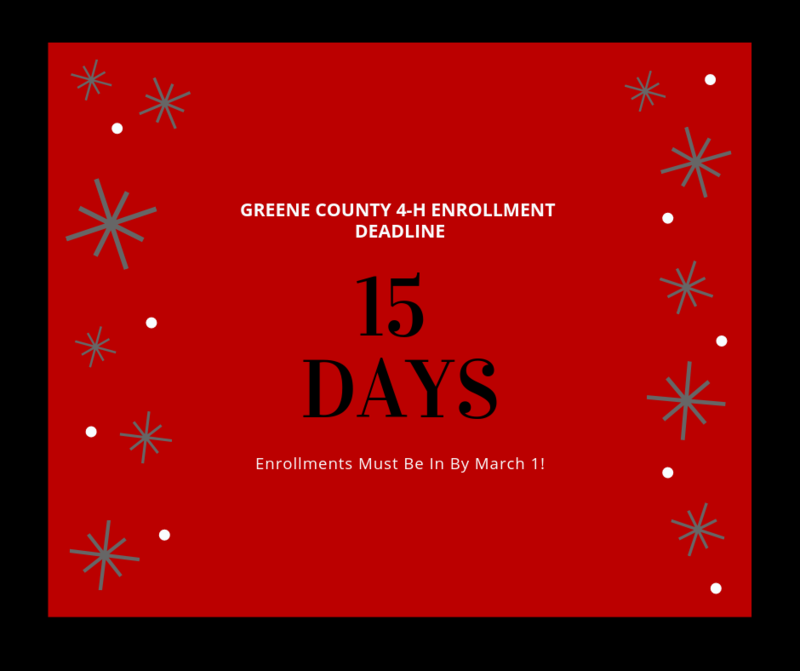 Enrollment closes March 1. Now it the time! 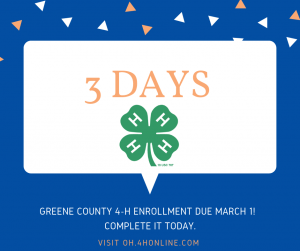 Don’t miss the deadline for signing up for 4-H for 2019. The deadline is quickly approaching. 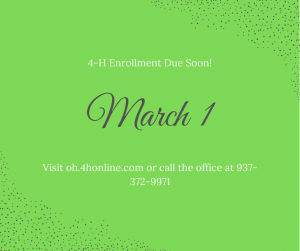 Enrollment is due March 1. Please note you must click click submit. Once you are approved at the office you will get another email. Before clicking submit, make sure your club is listed correctly along with your projects. 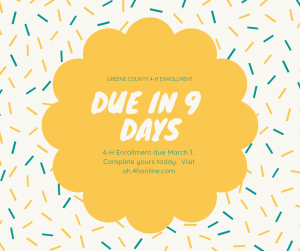 2019 4-H enrollment is due in 9 days! Today is a perfect day to complete your enrollment. Visit oh.4honline.com to complete it. Share with anyone you know. 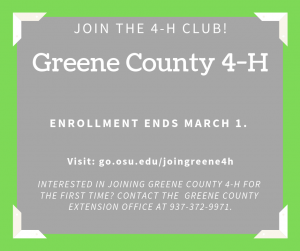 Greene County 4-H enrollment is due March 1. Don’t delay! 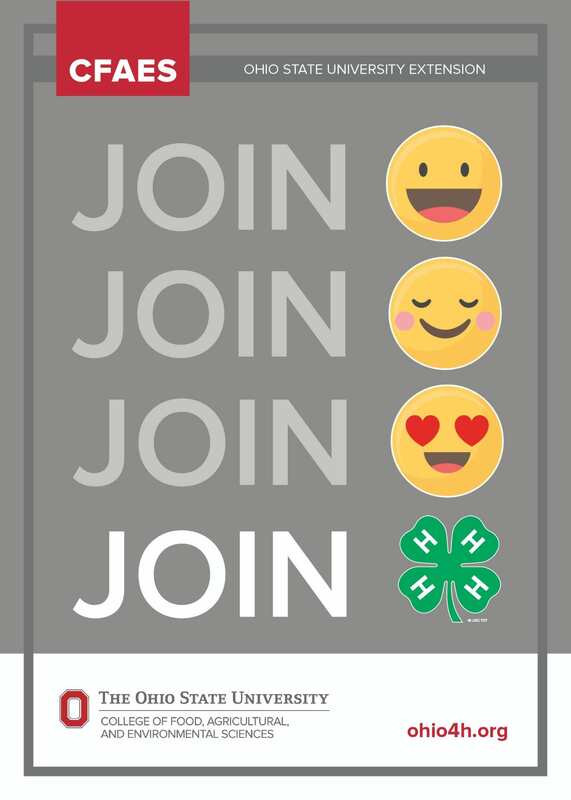 Please share with anyone you know who is interested in joining 4-H. We can help them get in touch with a club. Now is the time to join America’s largest youth development organization empowering nearly six million young people. Greene County has 44 clubs to choose from across the county. There are over 200 different projects to choose from. Youth learn life skills such as public speaking, leadership and citizenship. 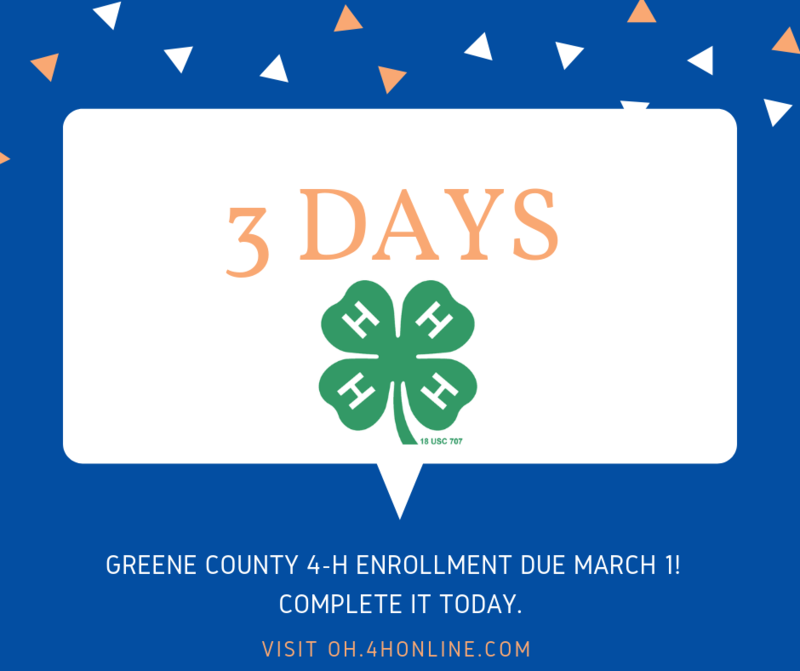 To review the Ohio 4-H Family Guide, please click here. To take a peak inside some projects along with reading reviews, please visit Project Central by clicking here. Let us know how we can help or if you have any questions. Visit our website at greene.osu.edu or call the office at 937-372-9971. 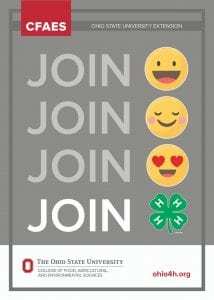 Don’t miss your chance to enroll in 4-H for 2019. 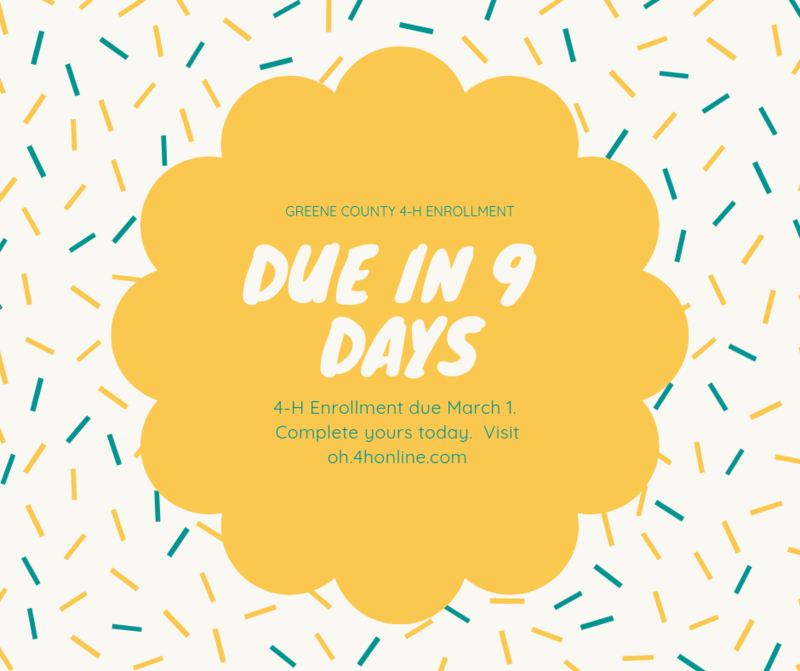 Enrollment deadline is March 1. Here are the details on how to enroll. Click here. Need help? Feel free to stop by the office and we will help you get enrolled. 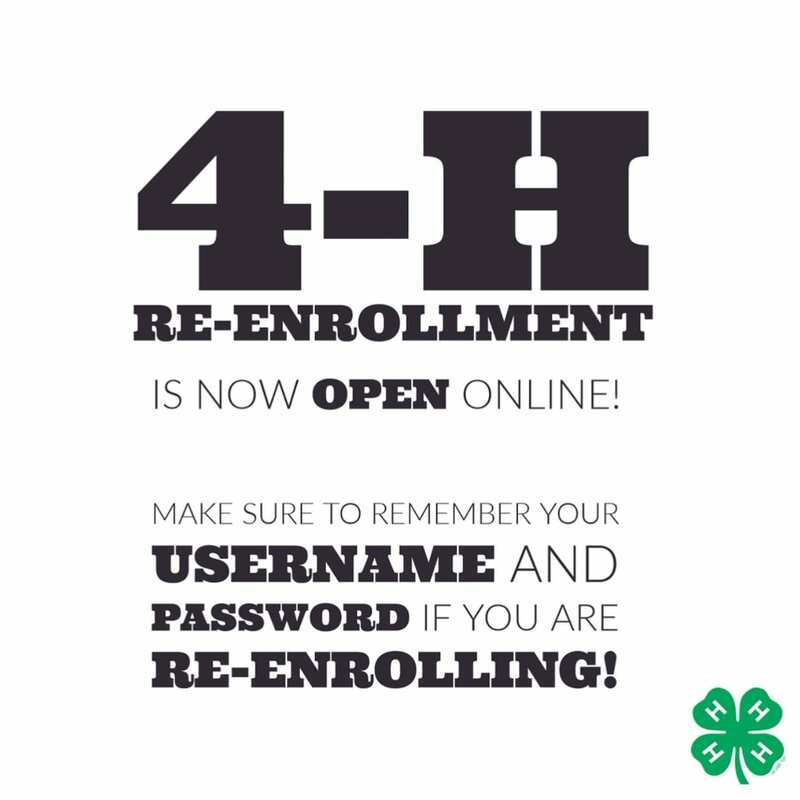 Stay Warm and Complete 4-H Enrollment for Youth and Online Training for Volunteers! No need to go outside today. 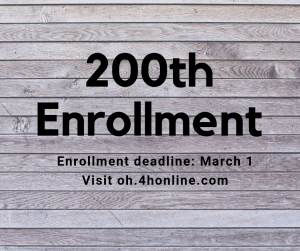 Stay inside and complete your 2019 4-H enrollment. Visit the website for some tips on completing enrollment. You will receive an email confirmation when you are confirmed. 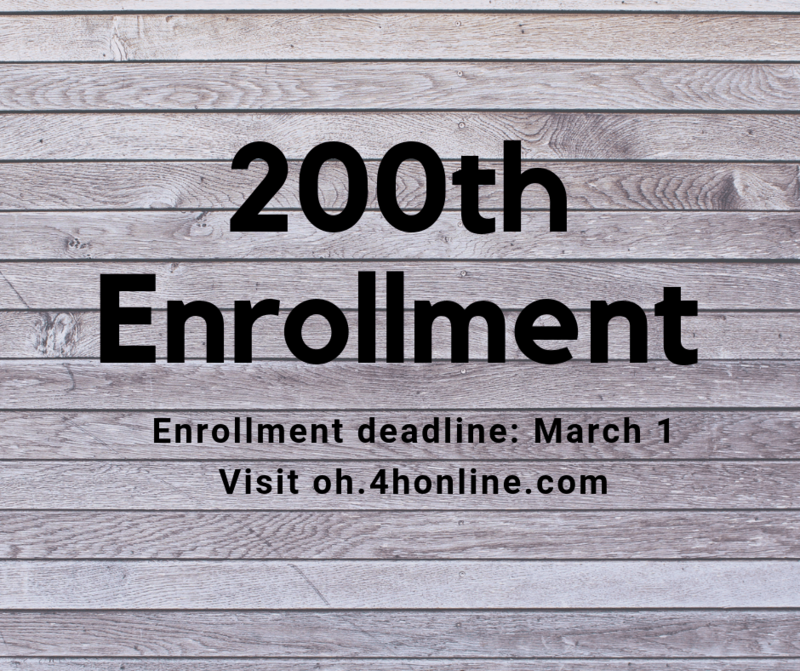 We are getting close to our 200th confirmed enrollment! The winner will receive a 4-H goodie bag. As a reminder, all volunteers must attend a training each year or complete online training. 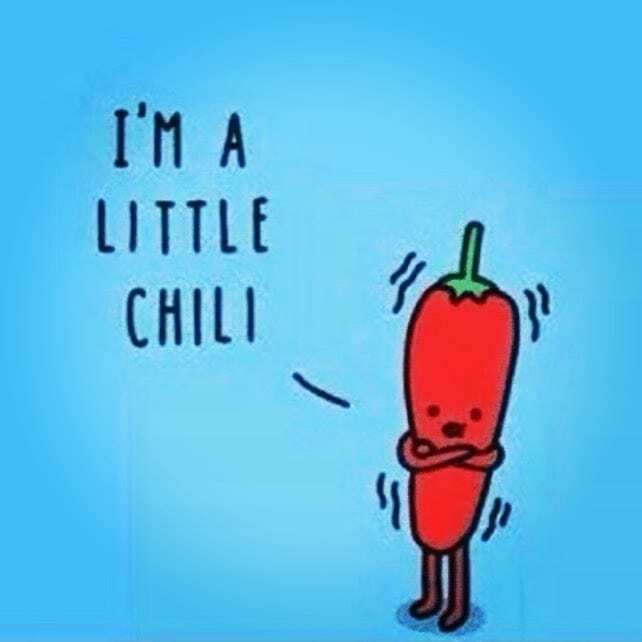 Stay inside and do the online training today. Here are all of the directions. Visit this website for the directions. Please be mindful that you will receive an email confirmation when you are confirmed for this year. We are getting very close to our 100th confirmed enrollment for volunteers. The winner will receive a 4-H goodie bag! 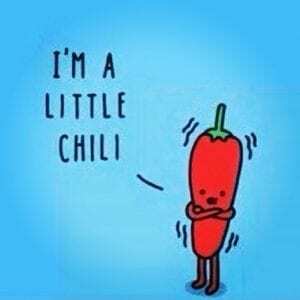 It is sounding like snow this weekend! 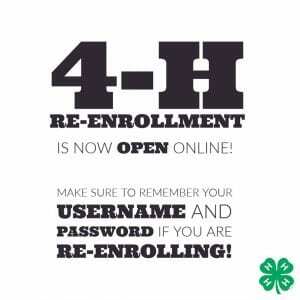 It might be the perfect weekend to get your 4-H enrollment completed. 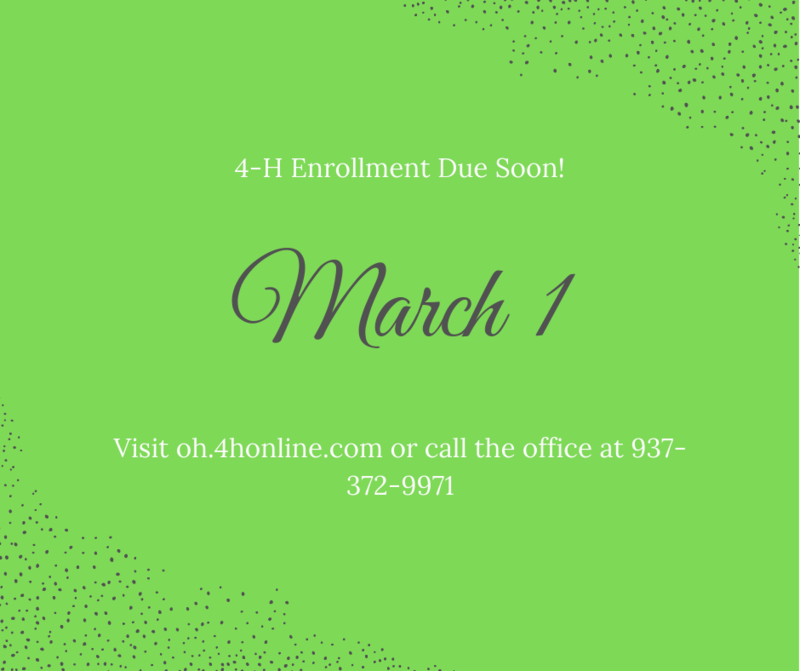 Just as a reminder, all youth and volunteers need to visit oh.4honline.com to complete their yearly enrollment. Are you a volunteer? Consider completing your training this weekend. Greene County 4-H inspires kids to do in the local community! Enrollment is now open to join in on the action taking, skills making, friendship making fun. Have an interest in joining, but don’t know where to start? Visit http://go.osu.edu/greeneco4Hinterest or just send us a private message. We would love to help you find a good club for you and your family.